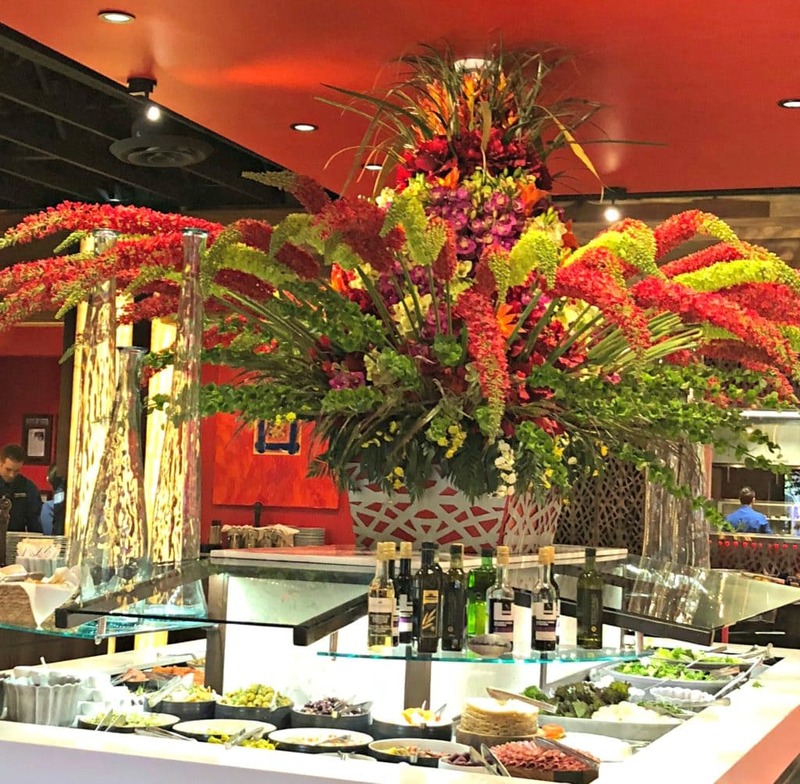 If you are looking for a special restaurant to celebrate the seasons, I know you will enjoy a holiday meal at Texas de Brazil. 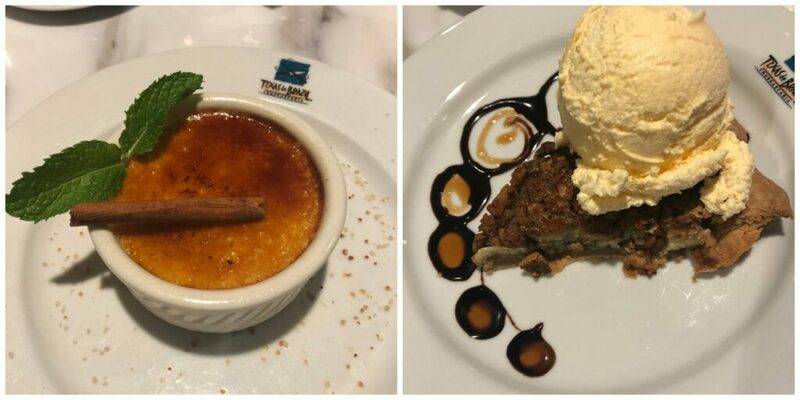 You may remember that my husband and I celebrated our anniversary with a special dinner at Texas de Brazil recently and we are still talking about the great food and attentive service. 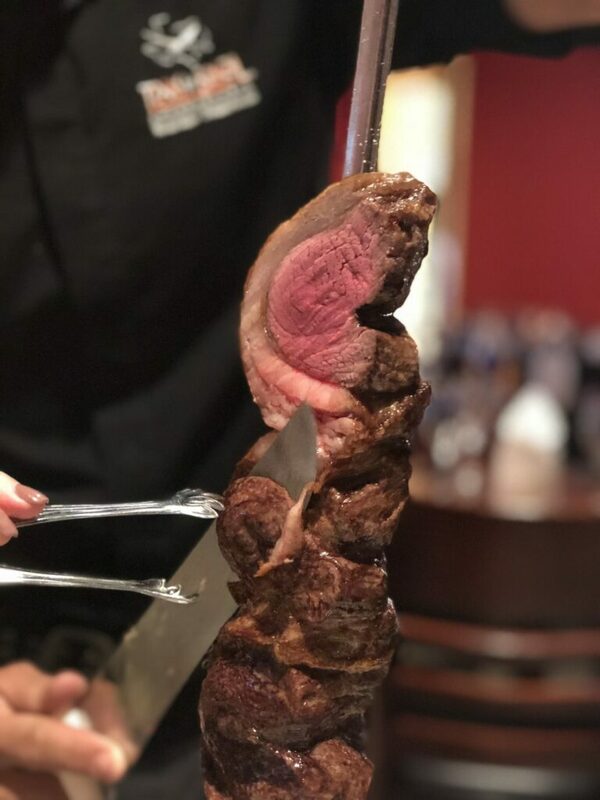 If you are not familiar with Texas de Brazil, they are a family-owned restaurant group with nearly 60 restaurants worldwide and are now the largest Brazilian-American steakhouse in the world. They feature 15 different cuts of meat. How do you decide? You don’t have to! You can try as many cuts of meat as you would like. 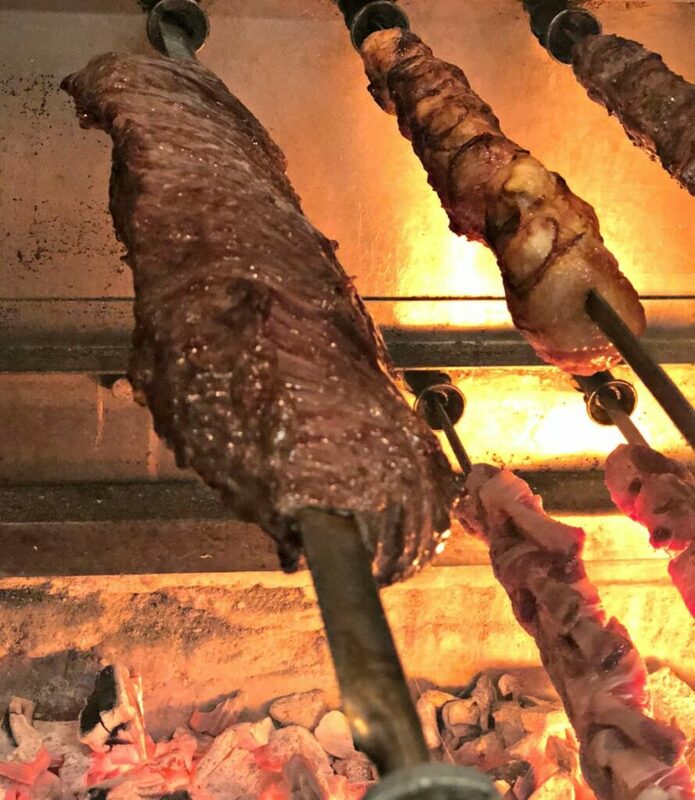 Once you turn your coaster to green, large skewers of freshly grilled meats start arriving at your table and you can request just a taste or a full portion from your gaucho. And you can ask for more once you find your favorites! 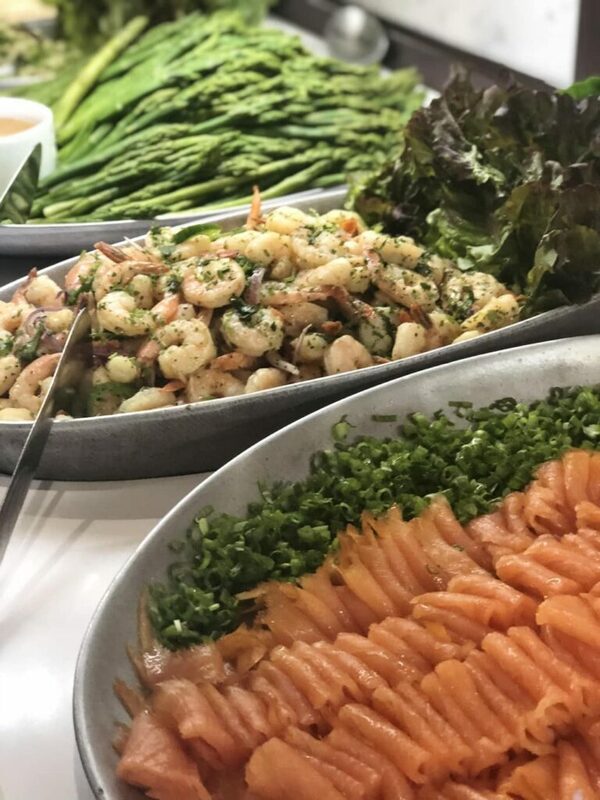 In addition to their world famous meat, you will enjoy their 50-item gourmet salad and sides featuring choices such as roasted vegetables, imported cheeses, cold meats, sushi, side dishes, and soups. My favorites were the Goat Cheese Terrine, Pineapple Carpaccio and a Lobster bisque that I am still thinking about… it was so good. Their dessert selection is amazing! Christmas Eve is Monday, December 24th and you can dine starting at 11 am or noon depending on location. They will serve their dinner menu all day plus select non-alcoholic beverages and guest’s choice dessert. 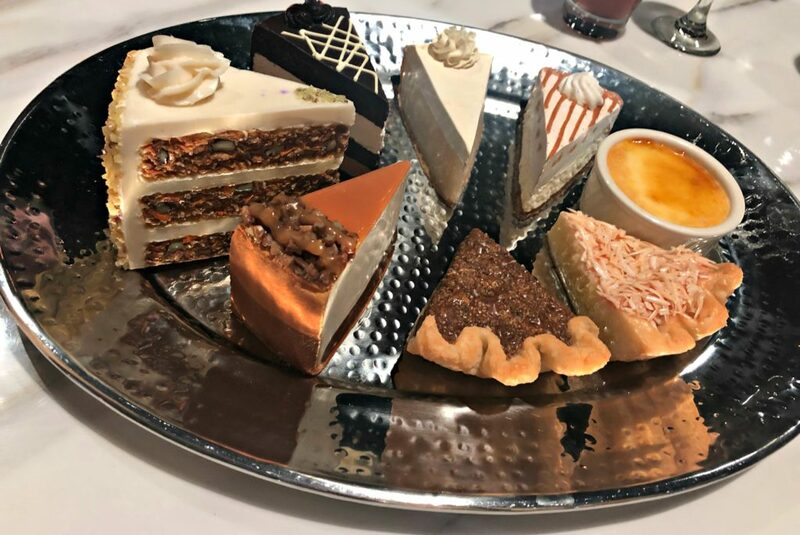 If you are hosting Christmas Eve dinner at your house, order your food to go from Texas de Brazil and orders of $100 or more will receive a complimentary pie. 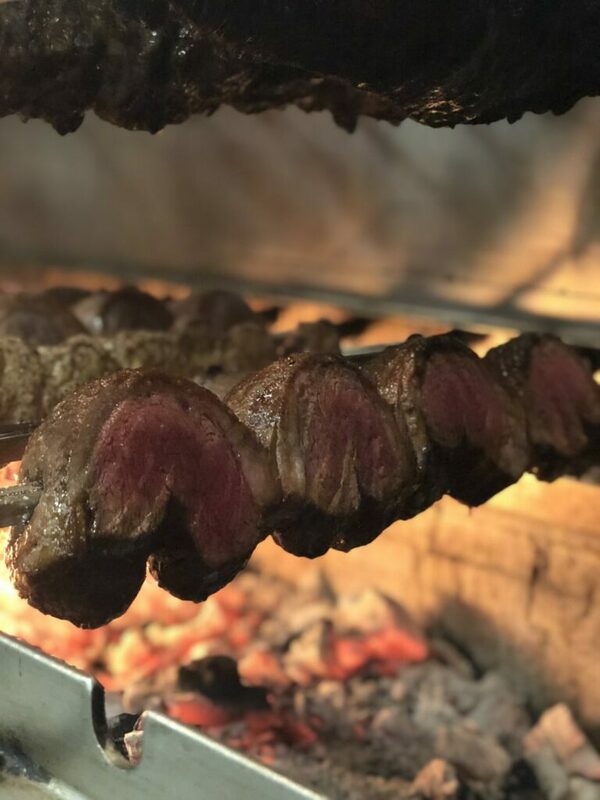 Give the Gift of Churrasco – Buy a Gift Card and Receive a Bonus! For every $100 gift card purchase, you’ll receive an additional $25 bonus certificate and for every $50 gift card purchase, you’ll receive an additional $10 bonus certificate. Restrictions apply, click HERE to learn more. 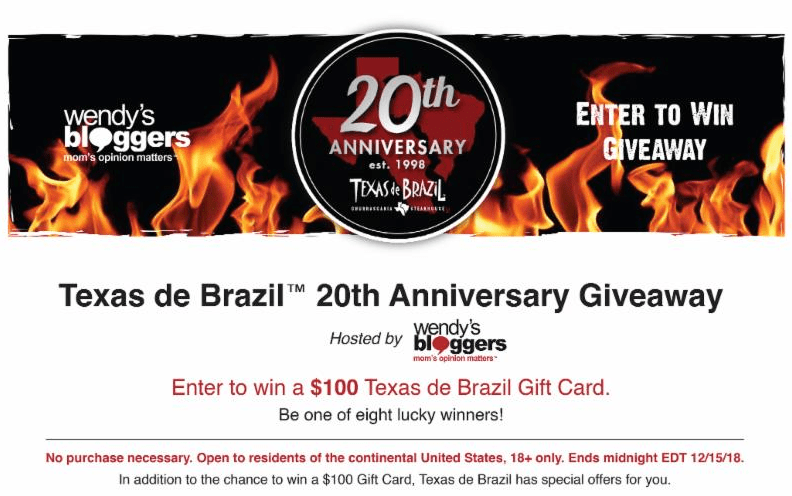 Enter to Win a $100 Texas de Brazil Gift Certificate! Visit texasdebrazil.com to find the location nearest you and make a reservation for Thanksgiving, Christmas Eve or any special occasion. Share your experience @TexasdeBrazil and follow Texas de Brazil on Facebook, Twitter, and Instagram. For my Southern California readers, use the hashtag for the Irvine, CA location, #TdbholidayIrv.